Day 3 at VFW has definitely been the liveliest of them all. We arrived at around 7:30 and luckily they were running very late so we were able to catch Than Nguyen's show as well as Heiress Swimwear, Mia Melon, Qispi Kay Beachwear, Apt Form, Jessica Huang, and Pinghe. It was quite a few shows, so be warned -- lots of pictures! 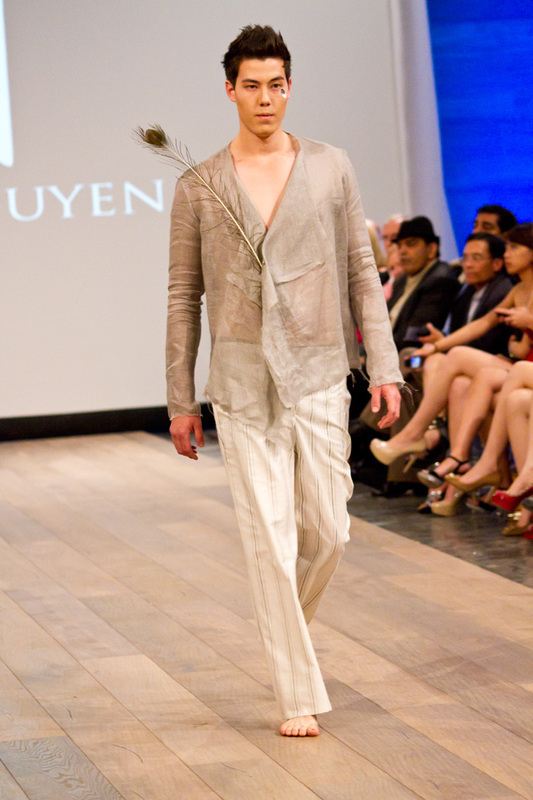 The Than Nguyen show was absolutely gorgeous. 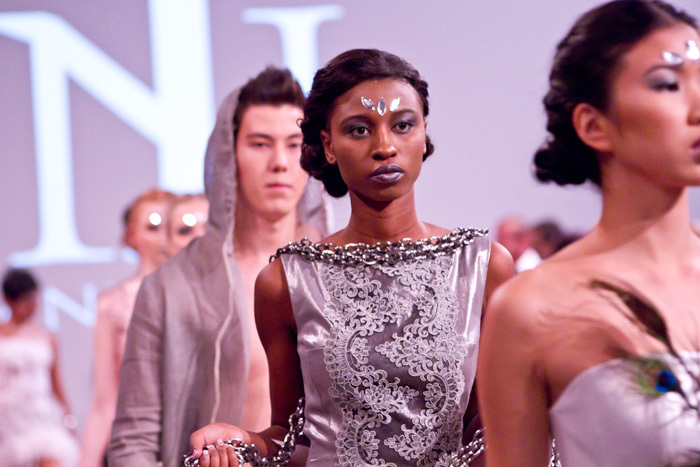 The models looked like sea goddesses walking down the runway and the jewels on their forehead were the perfect touch. I really love the ivory knit maxi dress that was slightly sheer. So beautiful. She was definitely the crowd favourite -- lots of rowdy people that had clearly come to see her before they continued their night at the bar. Heiress swimwear was Ollie's favourite of the night (I wonder why...) and I think this has somewhat made up for all of the sacrifice and effort that he has been putting in this week. The swimwear was really gorgeous and the models looked incredible. My favourite was a black cutout one-piece that reminded me of the crochet bodysuits at Herve Leger SS13 and I really love all of the rushing on the bottoms -- made their bums look super perky and cute! Mia Melon was adorable. It had a much younger feel and I could definitely see it being popular with teens. Some of the boho looks were especially cute and I really love the black sheer maxi dress. I need to find one of these for fall. Qispi Kay Beachwear had an Amazon woman theme that went really well with the collection. She had a lot of really wearable suits that would be perfect for a trip to Vegas! 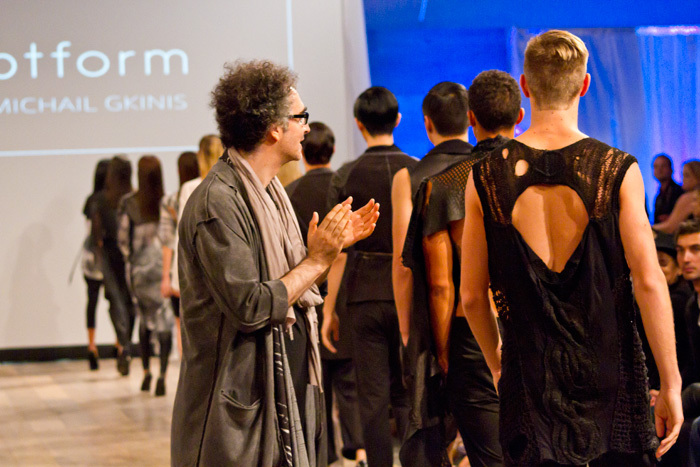 Apt Form had some really beautiful flowing and loose-fitting designs with lots of layers. I can really see this collection being perfectly suited to a more mature client. 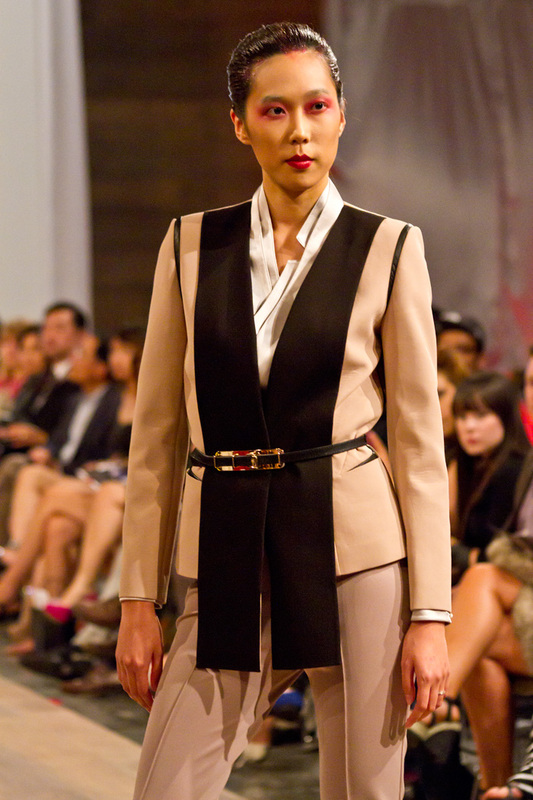 Such an artsy feel to it and I loved the models "no makeup" look with white eyelashes and slicked back hair. 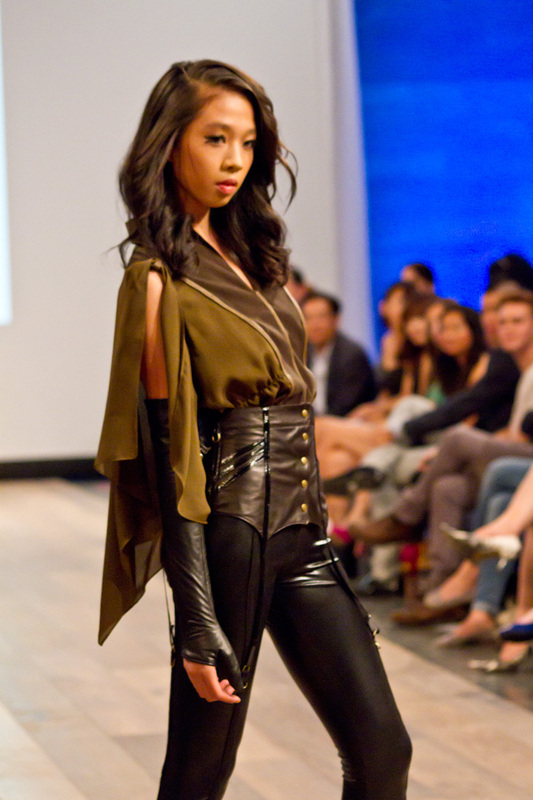 Jessica Huang had some amazing leather and military inspired pieces that I would love to have for this fall. Too bad it won't be out until next spring! Pinghe was my favourite of the night. The venue had pretty much cleared out by this point and it's such a shame because the collection was absolutely gorgeous. I wanted every single one of those jackets! This is another collection that I think would have been perfect for this fall. I'm loving all of the leather! Love this dress! It is definitely a classic piece. I love the belt and clutch! You looked great and thanks for sharing all these photos from VFW. 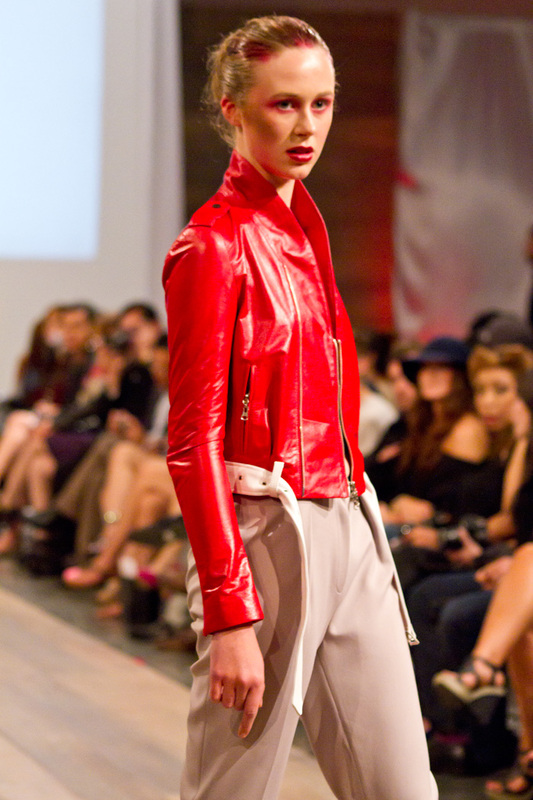 I love all the leather pieces! Such a cute look! Loving your dress and how you added the bright blue shoe! Gorgeous outfit :) You look amazing. It'll be super nice if you check out my blog too.